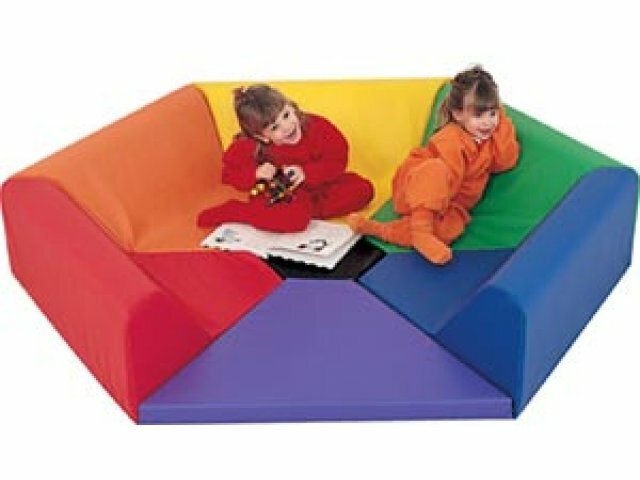 Provides comfortable seating for story time or quiet play for six children. Seven pieces in seven different colors. 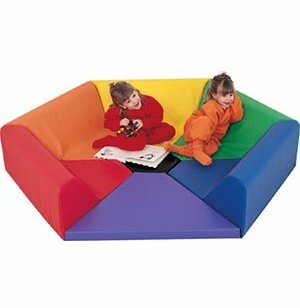 Fastens together with hook-and-loop fasteners to form an instant play nook!